Washington: Reliance Industries chairman Mukesh Ambani again topped 84 Indian billionaires in Forbes 2016 list of the world’s richest people once again headed by Bill Gates with a net worth of $75 billion. 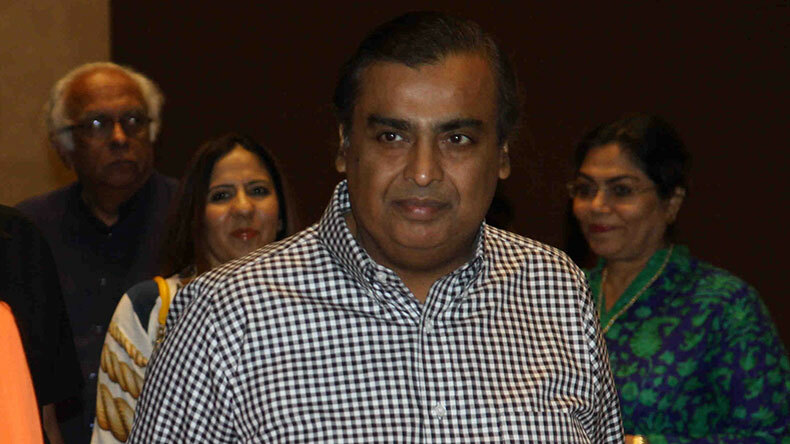 Mukesh Ambani with a net worth of $19.3 billion was ranked 36th among world’s 1,810 billionaires with an aggregate net worth of $6.48 trillion, down from $7.05 trillion last year. India’s top ten: 1 (world ranking 36) Mukesh Ambani $19.3 bn; 2 (44) Dilip Shanghvi $16.7 bn; 3 (55) Azim Premji $15 bn; 4 (88) Shiv Nadar $11.1 bn; 5 (133) Cyrus Poonawalla $8.5 bn; 6 (135) Lakshmi Mittal $8.4 bn; 7 (184) Uday Kotak $6.3 bn; 8 (196) Kumar Birla $6.1 bn; 9 (219) Sunil Mittal $5.7 bn; 10 (233)Desh Bandhu Gupta $5.5 bn. Amazon’s Jeff Bezos (No. 5) moved up to the fifth from the fifteenth spot last year; his net worth increased to $45.2 billion. Facebook’s Mark Zuckerberg (No. 6) moved into the top 10 for the first time. He was the biggest gainer with his fortune going up by $11.2 billion for a total net worth of $44.6 billion. He is the sixth richest in the world.